A few days back, Mahindra launched the Scorpio facelift with minor exterior and interior upgrades and a more powerful engine option. Autobics has shared images of the top-of-the-line 2017 Mahindra Scorpio S11 variant detailing all the changes. The most prominent change up front is the new grille. The pictures were taken at Mahindra dealership in Mumbai. The colour seen here is the Pearl White shade. There are three other colour options including Mist Silver, Napoli Black, and Molten Red. Changes to the exterior include a new grille with chrome lined elements, a redesigned fog lamp housings with chrome inserts, ORVMs with integrated LED turn signals, a new set of 5-spoke alloy wheels, red lens LED tail lamps, redone number plate area with chrome applique, and a redesigned footstep on the rear bumper. 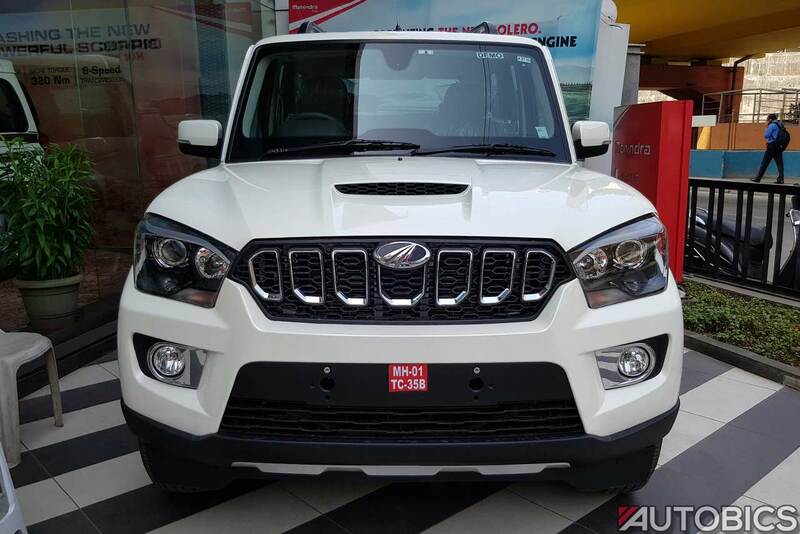 Inside the Mahindra Scorpio 2017, there is new seat upholstery and larger cubby holes. The reverse parking camera display now features dynamic guide lines. 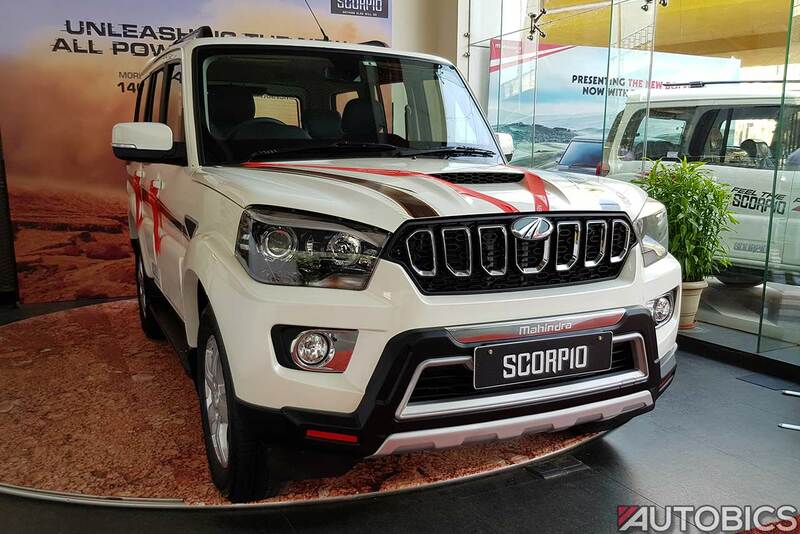 The variant nomenclature has been revised with the launch of the Mahindra Scorpio facelift. There are five trims on offer - S3, S5, S7, and S11. The S7 trim is available with either the 2.2 L mHawk 120 hp engine mated to a 5-speed manual transmission or the 2.2 L mHawk 140 hp engine mated to a 6-speed manual transmission. The display unit has been accessorized with decals and extra cladding on the bumper.